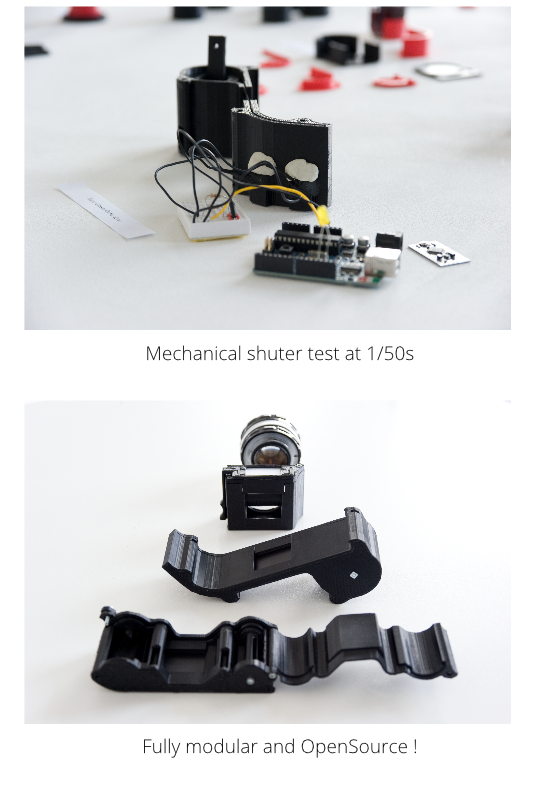 An universal SLR camera to reuse all your old lens, 3d Printed. 35mm film, medium format, polaroïd. 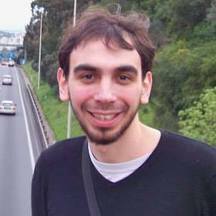 100% Open Source ! 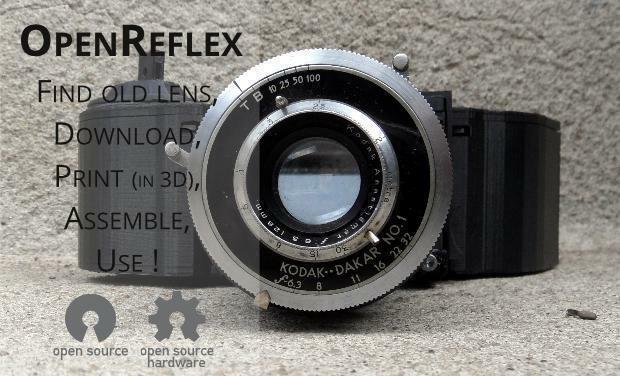 OpenReflex is a DIY analog camera that is entirely Open Source, which means that you can copy it and make it at home. 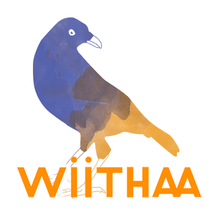 All files and infos are freely available online and without usage restrictions. 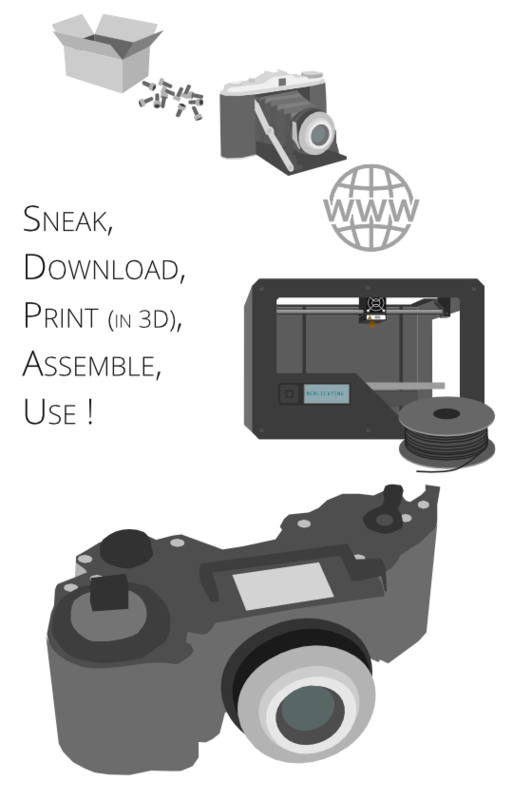 You can get it here as a kit or make your own Open Reflex by fabricating parts with a desktop 3D printer (RepRap, MakerBot, Ultimaker, …) and buying the rest of parts at the hardware store for a few dollars. 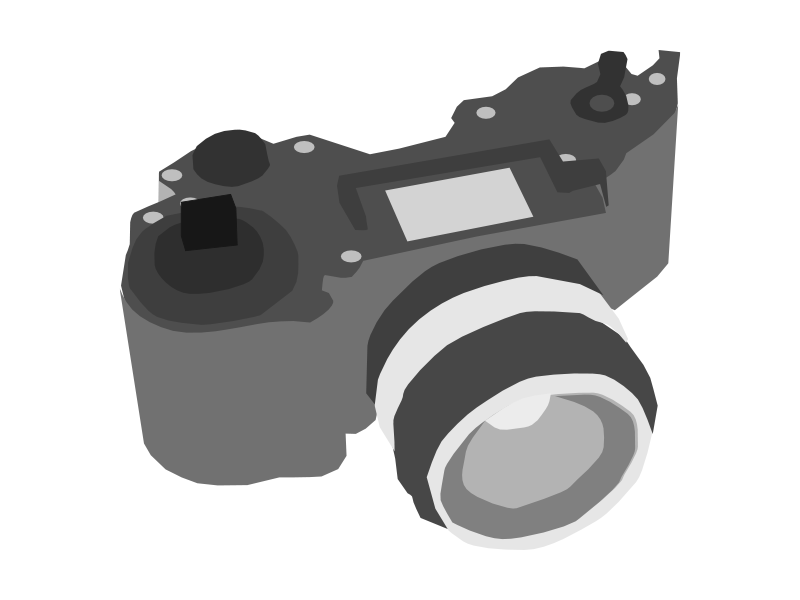 OpenReflex features everything that a classic reflex camera has. A “sport” ViewFinder that lets you see the image in the shutter directly on a small screen on top of the camera. 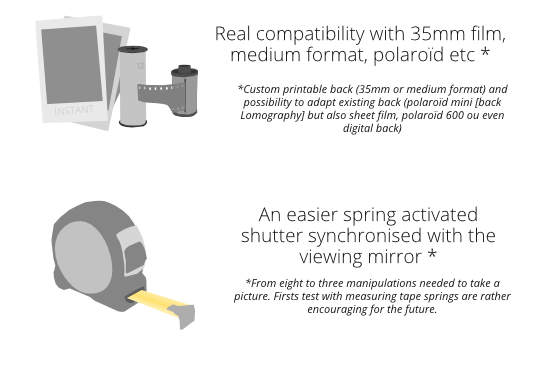 It also features a mecanical shutter that works every 1/50° secondes as well as custom back covers that you can switch depending on the type of film you're using. Thanks to adjustable rings custom 3D printed, it's also possible to use it with many different types of lenses. Classic ones or more experimental ones. I am now working on a more advanced version. Help me do it! 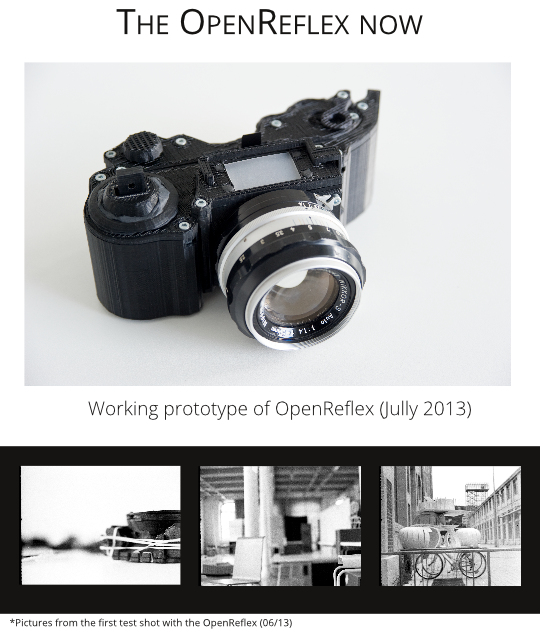 Campaign will allow me to work full time on the development of OpenReflex for at least the two coming months. 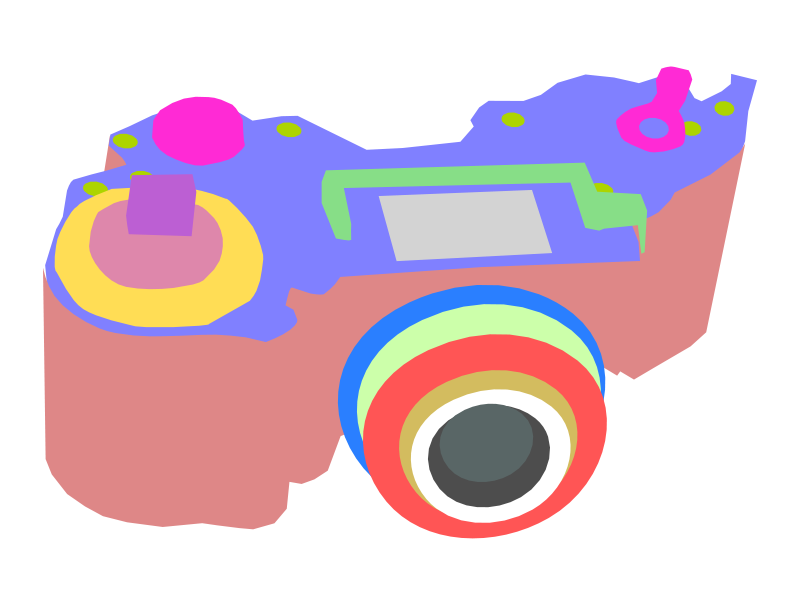 This time should let met come up with a more advanced version of the OpenReflex, but also build a website dedicated to Open Source camera in order to share and support the development of OpenReflex and other open printable cameras and accessories. And to keep it in the Open Source spirit, a detailed expenses report will be published at the end of the project. 2300€ for making the rewards. For additional 2000€, money will be used to develop the website and further research, specially around open electronics. 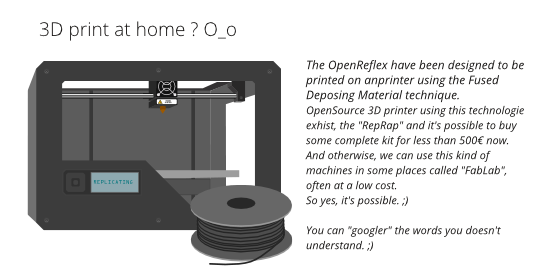 For 10.000€, I will invest in an additional 3D printer to produce faster (most probably a LulzBot 3D printer) and will invest more time and meand to research and development for an even more advanced version of the OpenReflex, with a custom packaging and even better documentation. 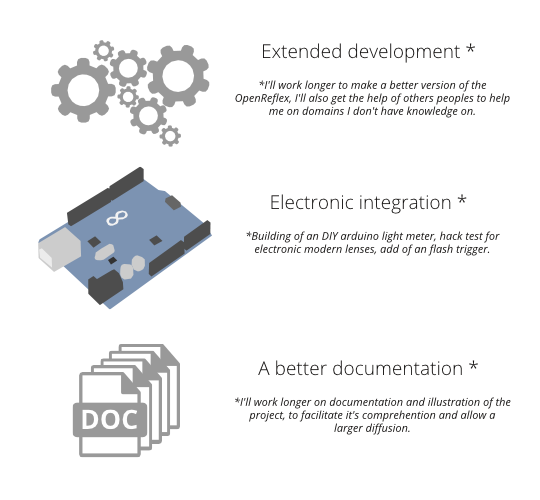 If more, the campaign will have exceed all my hopes, depending on feedbacks and what you want, I could contact industrials who could help me build a small series of OpenReflex, and, of course, still OpenSource and OpenHardware! SUPPORTER: all source files + your name on the website. Your participation is a HUGE symbol of support for me. GOODIES: source files + your name on the website + custom goodies. The more you give, the more amazing goodies you get! Try me. OPENREFLEX CLASSIC KIT - Beta Tester Edition (film 35 mm, reflex). Included: all parts + goodies. NO lens. OPENREFLEX CLASSIC KIT (film 35 mm, reflex). Included: all parts + DIY guide + goodiesOpenReflex classique. No lens. WORKSHOP. I come to your space and give a workshop to build 3 OpenReflex. CUSTOM FEATURE DEVELOPMENT. 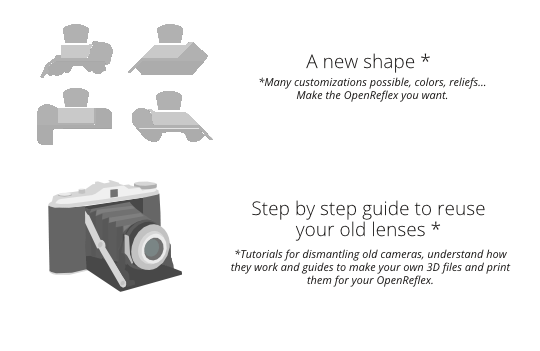 I design a new feature for your OpenReflex. On demand. GOLD SPONSOR: Assembled OpenReflex + custom + your brand featured on the community website.